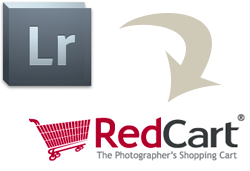 LR/RedCart is a plugin for Adobe Lightroom 2 and later that allows you to export your images directly to your RedCart account. Users of Lighroom 3 can export their images using Publish Services in order to maintain a relationship between the images uploaded to the server and collections being published. LR/RedCart will automatically export main images AND thumbnails at the right size and upload them to your RedCart FTP server. The trial version is fully functional however uploads are limited to 3 images at a time. Donating will remove this restriction. All updates to 1.x are free, major upgrades may require a fee.